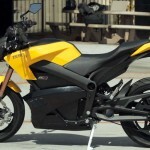 Zero Motorcycles has unveiled its 2012 lineup of five electric motorcycles. 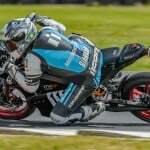 Zero boasts a host of new features, included extended ranges, more power and increased top speeds. Click here to see photos of each of the new 2012 models. 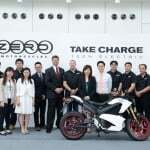 According to Zero, the 2012 Zero S is the world’s first available mass-produced electric motorcycle capable of exceeding 100 miles on the EPA’s UDDS range test. The entirely revamped Zero S features a completely new powertrain that includes a brushless motor capable of achieving speeds of up to 88 mph, new battery cell technology, regenerative deceleration and a power pack that is designed to last the life of the motorcycle. Offering customers the ability to select the range they need, the new ZF6 and ZF9 power pack configurations give riders the ability to respectively achieve 76 miles and 114 miles according to the EPA UDDS. Highlighting the new powertrain is new venting and bodywork designed to keep the maintenance free and air cooled system operating at moderate temperatures. 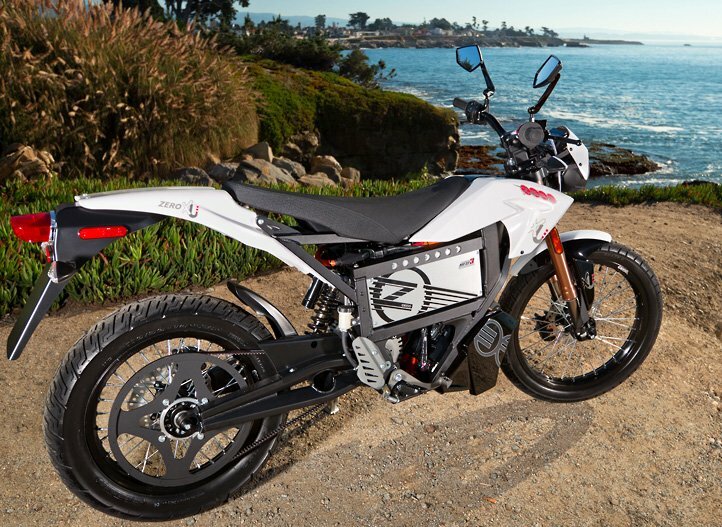 As well, Zero says revised frame geometry, new optimized Zero designed rotors and a larger front brake master cylinder give the Zero S better handling and more stopping power than ever before. The 2012 Zero S is visually distinct from its predecessors with new additions to the bodywork, components and graphics. Built around a black high-end aircraft grade aluminum frame, it is the first and only model to feature Zero’s newly designed and optimized cast wheels. Other changes include a more contemporary headlight. Prices start at $11,495 for the ZF6 power pack. Add $2,500 for the ZF9. 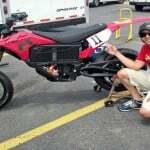 The entire powertrain of the Zero XU is new for 2012. 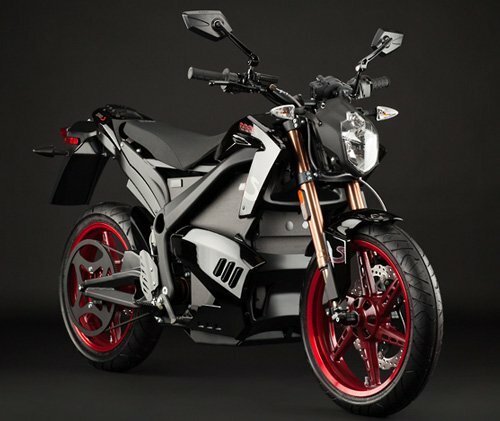 According to Zero, the 2012 XU is a more powerful motorcycle that goes 75% farther on a charge, is 25% faster, utilizes regenerative deceleration and offers a dramatically extended lifetime of nearly maintenance free riding. 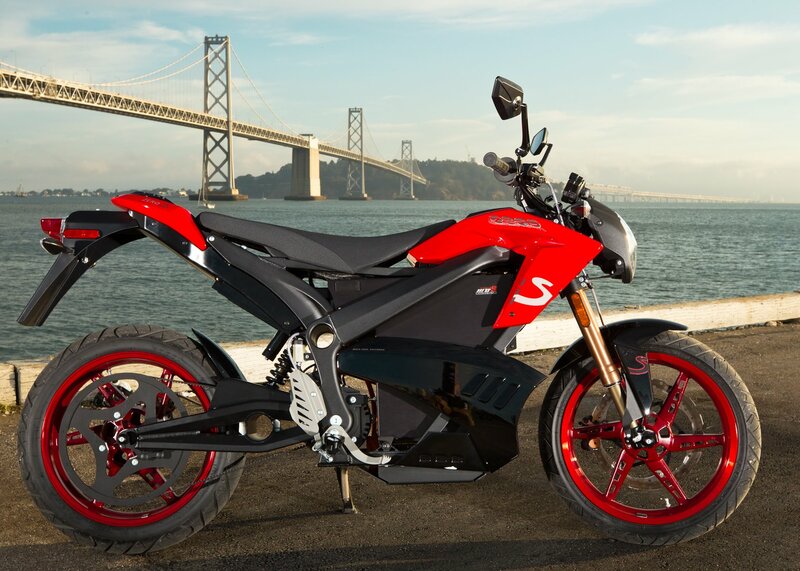 Zero boasts that the XU is capable of hitting a top speed of 65 mph and has a significantly broader power band. Now featuring new state of the art battery cell technology and a brushless motor, the Zero XU is designed to last over 3,000 full recharge cycles, or over 100,000 miles, while requiring no motor or power pack maintenance. In addition, the rear wheel is now driven by a belt drive. “Revised frame geometry, new optimized Zero designed rotors and larger brake reservoirs give the Zero XU better handling than ever before,” Zero says in a release. Visually distinguishing it from last year, the Zero XU’s frame is now anodized black. 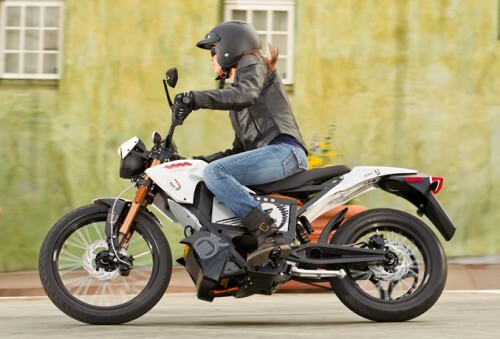 The revamped 2012 Zero DS is built off the platform of the new 2012 Zero S. Similarly, Zero says the 2012 DS is capable of 112 miles in the EPA’s UDDS range test. 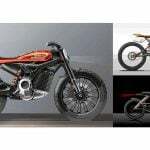 It features a completely new powertrain that includes a brushless motor capable of achieving speeds of up to 80 mph, new battery cell technology, regenerative braking and a power pack that is designed to last the life of the motorcycle. Like the Zero S, Zero DS offers customers the ability to select the range they need with the new ZF6 and ZF9 power pack configurations that can achieve 75 miles and 112 miles according to the EPA UDDS. Highlighting the new powertrain is new venting and bodywork to designed to keep the maintenance free and air cooled system operating at moderate temperatures. 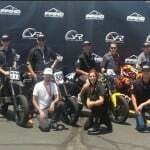 Revised frame geometry, new optimized Zero designed rotors and a larger front brake master cylinder promise to give the Zero DS better handling and more stopping power. The 2012 Zero DS is visually distinct from its predecessors with new additions to the bodywork, components and graphics. Built around a black high-end aircraft grade aluminum frame, it features more robust laced-spoke wheels, lower gearing intended for mountainous terrain and is offered with the option of a chain drive. Refining the appearance of the front end, the Zero DS now features a more contemporary headlight. 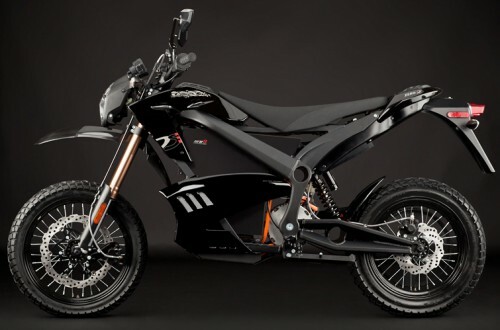 According to Zero, the 2012 Zero X provides 75% more range, leverages Zero Motorcycles’ new Z-Force battery technology and is more powerful than ever before. 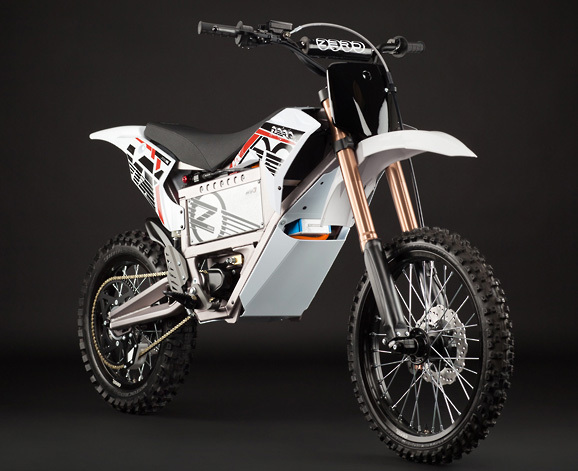 It now features the same high-output motor as the Zero MX and is capable of acceleration to 56 mph on both dirt and pavement. “Its impressive performance and fully street legal running gear make the Zero X into Zero’s “do anything” electric dirt bike,” Zero says in a release. 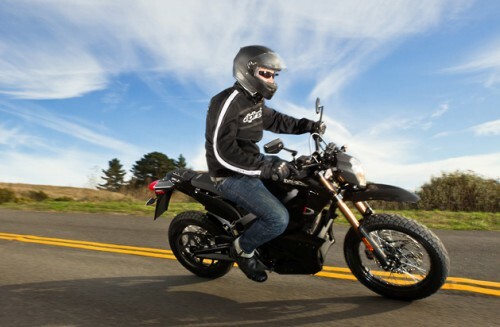 The 2012 Zero X features lights, a sidestand, mirrors, street legal tires and higher gearing that allow riders to sustain greater top speeds. In addition to riding longer distances on a charge, Zero says its new Z-Force power pack now lasts the life of the motorcycle with the ability to travel upwards of 103,000 miles while still retaining 80% capacity. In addition to its higher performance, the Zero X now features new bodywork and graphics. 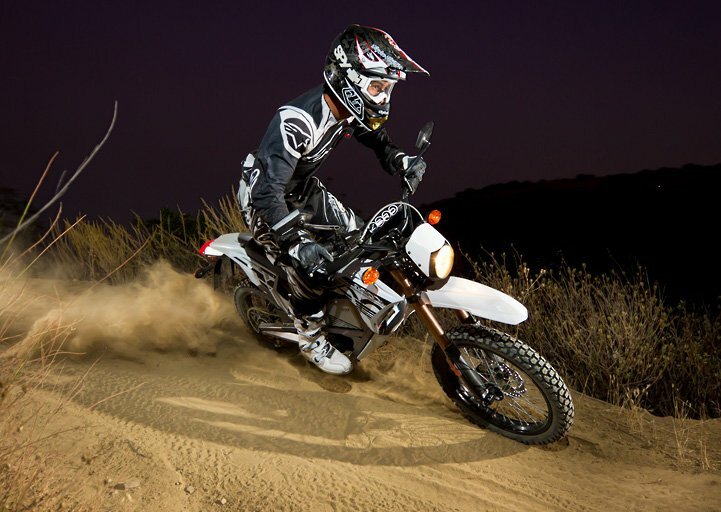 The new 2012 Zero MX shares many of the same improvements as the Zero X, but is stripped down to be lighter, faster off the line and have more traction in the dirt. 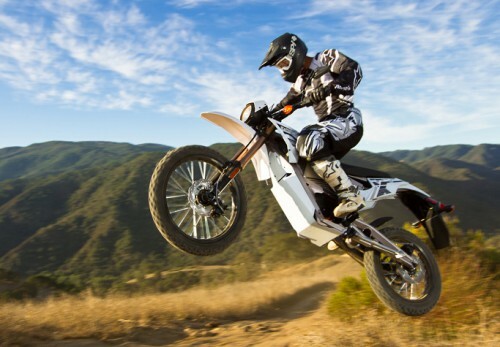 Designed exclusively for off-road and motocross track usage, Zero says the 2012 MX provides 75% more range, leverages Zero Motorcycles’ new Z-Force battery technology and is more powerful than ever before. In addition to improved performance, the Zero MX’s Z-Force power pack now lasts the life of the motorcycle with the ability to ride upwards of 3,000 track hours while still retaining 80% capacity.